Bowling Green, Ky.- December 1, 2010 - Preparations are being made to welcome thousands of fans who will fill the stands at Western Kentucky University’s football stadium December 3-4, 2010 for the Kentucky High School Athletic Association Commonwealth Gridiron Bowl State Football Championships. This is the second consecutive year Bowling Green and WKU have hosted the event. WKU Facilities Ambassadors will be on site both days wearing red jackets to help with information about the stadium, parking and general questions about WKU. 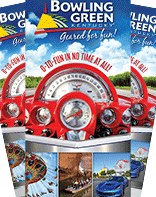 The Convention & Visitors Bureau’s SportMasters also will be on site wearing green jackets and can answer general Bowling Green inquiries. The area is bustling with holiday activities all weekend including the Kentucky Museum’s free annual event, ‘Christmas in Kentucky,’ on Saturday morning after the downtown Christmas parade at 9:30 a.m.
Game times are at 11 a.m., 3 p.m. and 7 p.m. both Friday and Saturday. Participating teams include Mayfield, Hazard, Owensboro Catholic, Newport Central, Allen County-Scottsville, Boyle County, Central, Belfry, Christian County, Highlands, Male and Trinity. Recent renovations at WKU’s Houchens Industries- L.T. Smith Stadium increased seating capacity from 17,500 to 25,000, and the number of hotel rooms in the city has grown to just over 2,600 in the past several years. Both of these increases were among the criteria qualifying Bowling Green to make a bid for the event. Louisville was the host city for the State Football Championships for 29 years before 2009. 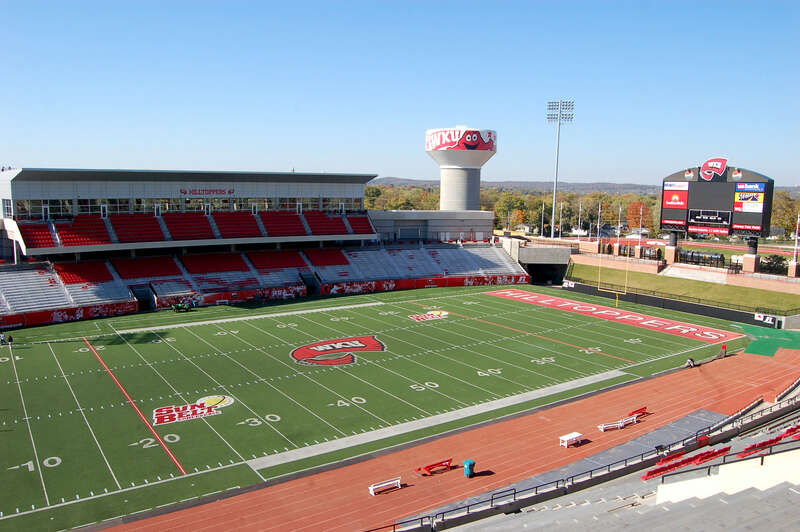 For other event details such as parking maps and information, visit WKU’s Gridiron Bowl State Football Championships page. Contact WKU Parking and Transportation at 270-745-2361.